Tied 5-5 and 7-7, the North Thurston Rams boys baseball team scored five runs in the sixth and another two runs in the top of the seventh to defeat Capital 14-7 Wednesday March 27, 2019 in WIAA 3A South Sound Conference play. Freshman Van Barney led North Thurston with four RBI on two hits. Senior Shea Thomas had two runs, two hits and two RBI including a home run in the sixth to put the game out of reach. Thomas also threw 2.2 innings to close the win for the Rams. Kyle Johnson led Capital with two hits, two runs, a walk and three RBI. With the win, North Thurston moves to 3-4 (2-2 in the SSC) for the year. Capital takes its first loss in the SSC and now moves to 4-4 (3-1, SSC) for the season. 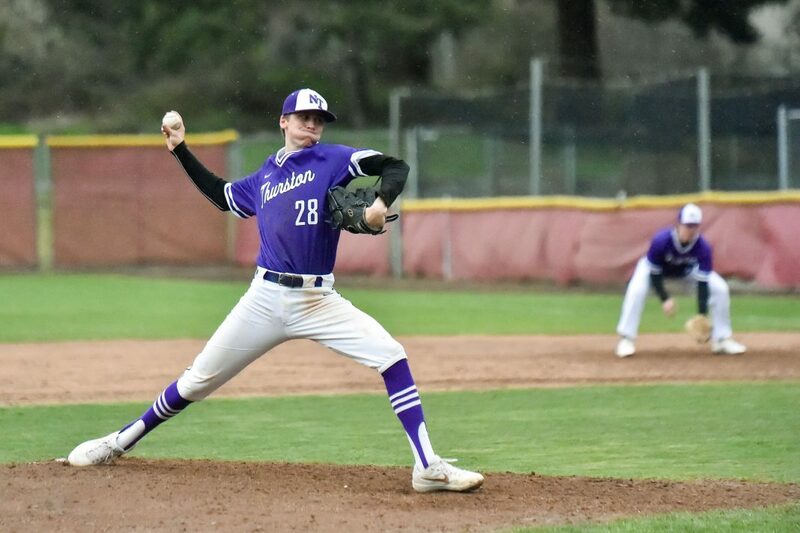 Thurston plays Tahoma away Friday and Capital hosts Lake Washington Saturday in non-league play. Next articleEasy Cancer Screening at Home? Sign Me Up!